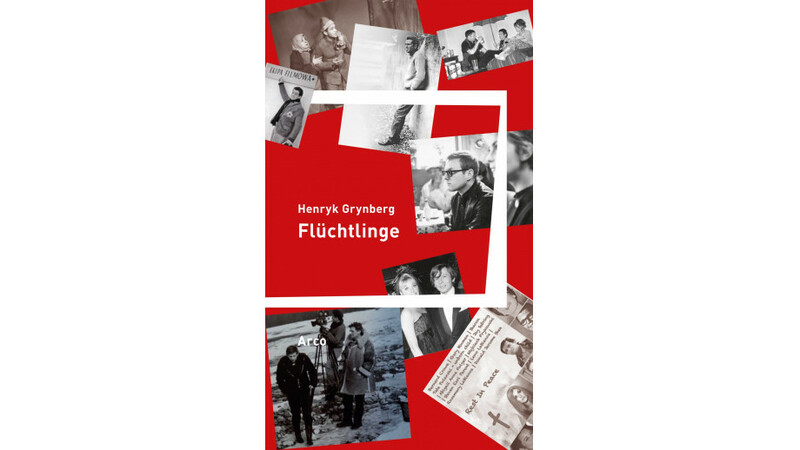 Flüchtlinge, which is the title of the German edition of the book, was published by the Arco Verlag publishing house in Wuppertal. Refugees is an autobiographical generational novel. The protagonists, such as Marek Hłasko, Krzysztof Komeda, Roman Polański, Elżbieta Czyżewska, Agnieszka Osiecka, Sławomir Mrożek, are young people tarnished first by the war, and later by a communist school. The book’s theme is not just refugees or political and ethnic exile, but also existential, often futile, seeking asylum in art. Events take place in Warsaw, Tel Aviv, Montreal, Hollywood, Beverly Hills, Naples, Geneva, Munich, New York, Las Vegas, and Buenos Aires. The book was nominated for a Nike Award in 2005. Lothar Quinkenstein also translated, among others, the collection of Grynberg's essays Prawda nieartystyczna (Non-artistic Truth), his Żydowska wojna i zwycięstwo (Jewish War and Victory; with Vera Cerna), as well as Anioły i świnie (Angels and Pigs) by Brygida Helbig. All the mentioned titles were published in German with the support of the Book Institute.